If you like a product, just add it to your Favorites. 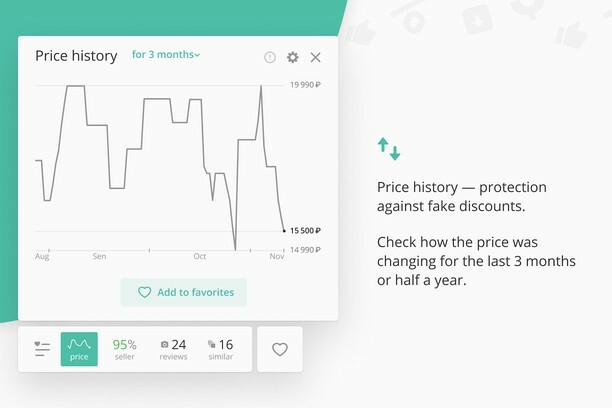 AliTools will notify you when its price goes down. The browser extension is integrated with the ePN Cashback and LetyShops cashback services. 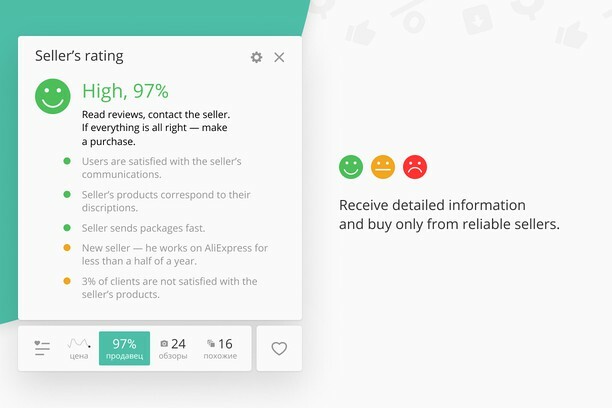 By using AliTools you can rest assured it does not affect filling your orders. This browser extension uses Google Analytics to collect information about the extension's usage, which helps us to improve it. If you want to disable Google Analytics, go to the http://tools.google.com/dlpage/gaoptout webpage and install the Google Analytics opt-out add-on. 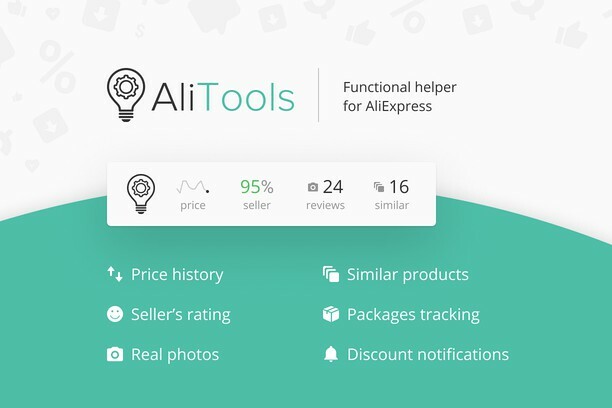 By installing the AliTools extension, you accept the terms of the “User Agreement” and authorize that you can be redirected by the link of the AliExpress affiliate program. Kasutades Bonusway brauserilisa kogud boonuseid kõikidelt veebiostudelt.